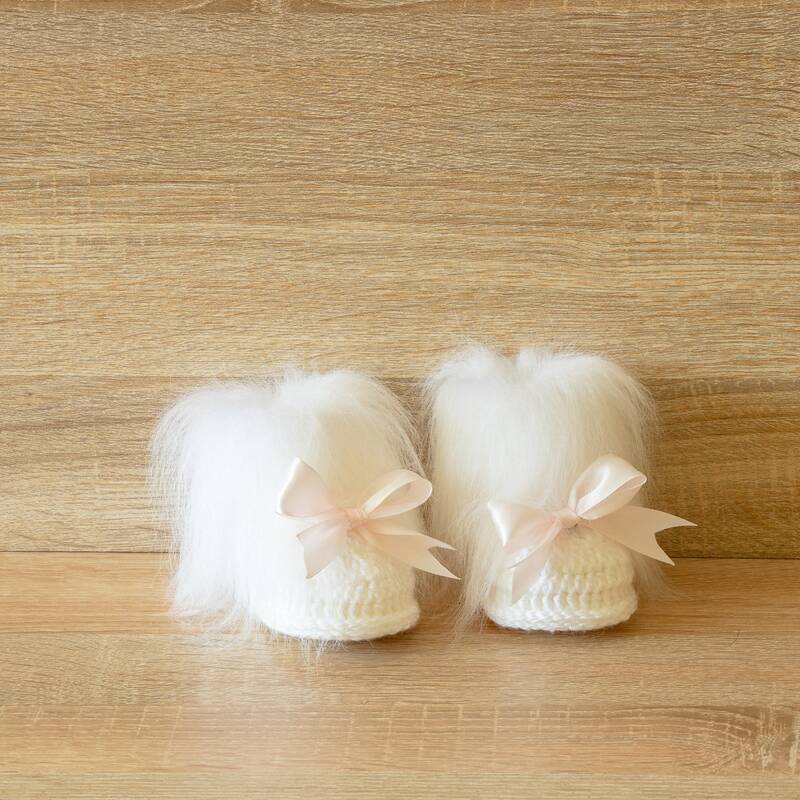 These baby girl booties with pale pink bows are a perfect accessory to any little baby's wardrobe. Beautifully crafted & very adorable!!! They look just like the picture!!!! Very soft too! Thank you! I just got this set, good work.